Use Case: There’s no room! This use case builds on two previous blog posts I’m sorry that’s my seat! and Is there any space in the library? Demand for library space from students varies over time, not just over the day, but over the week and over the year. It can be challenging for libraries to ensure that there is space for studying. The variance in demand means that some times there is ample space and others students can be disappointed. If a student has made a special trip and can’t find somewhere to study then they may think negatively about the institution. Currently libraries will use manual and automated methods to measure utilisation. Often this data is used to for self-assessment reports and proposals for expansion. Few are analysing that data in real time and presenting the information to students. Historical usage data is often accessible either through Google or Library web pages. We know that measuring usage of desks can be fraught with ethical concerns, a recent university used a sensor under desks to measure occupancy and despite efforts to inform students (and staff) the message was missed by many. It is critical when measuring usage that the library is transparent about what it is doing, how it is doing it and why. We also know that many college libraries in comparison to university libraries are small and the benefit for any such system would be marginal. Universities and colleges may want to consider not just demand for study space in the library, but the use of computer labs and drop in study areas. The increase in use of digital and online collections can reduce the need to use the library as a studying space, universities and colleges may want to reflect on creating or modifying existing spaces for self study activities. 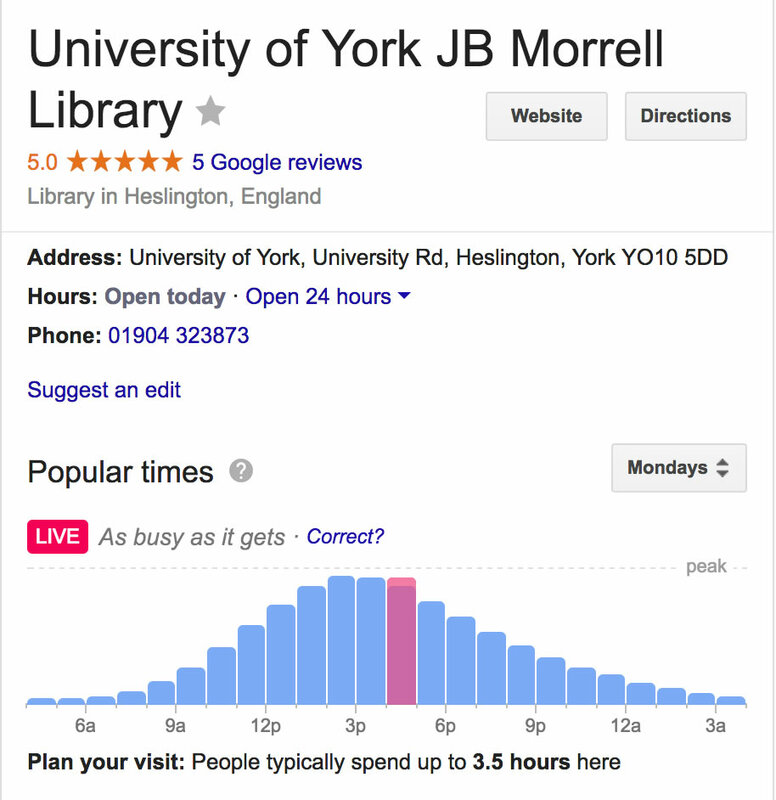 As outlined in my previous blog posts on this subject, many university libraries are already publishing occupancy in real time. Likewise Google can also provide historical usage data, but for many libraries this can be inaccurate. 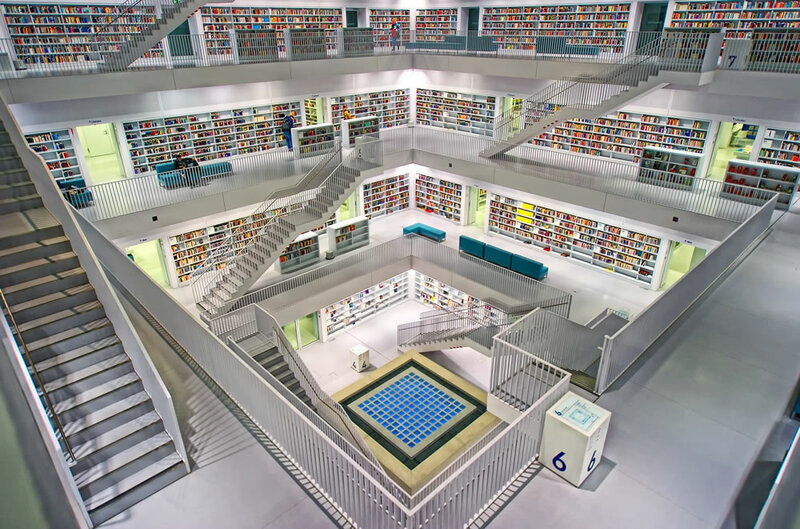 We can imagine an intelligent library which not only knows what seats and PCs are free, but can learn from history and predict when the library will be busy and when it will be emptier. The library then provides this information to students via an app, pushing the library when there is more availability of places and computers. Students could be notified when space is available, or for groups when group space is available. Students could be informed of other suitable spaces in other libraries or learning spaces. This kind of system requires involvement not just from the library staff, but also the team (if there is one) responsible for any kind of student app. It may make sense to incorporate the functionality required into a single app, instead of students needing multiple apps.